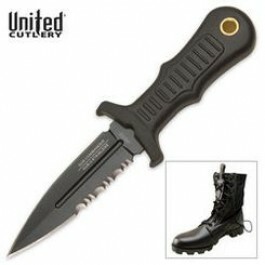 Buy United Cutlery Combat Sub Commander Black Mini Boot Knife , from Budk - RBC VISA for $12.49 only in My e-commerce. 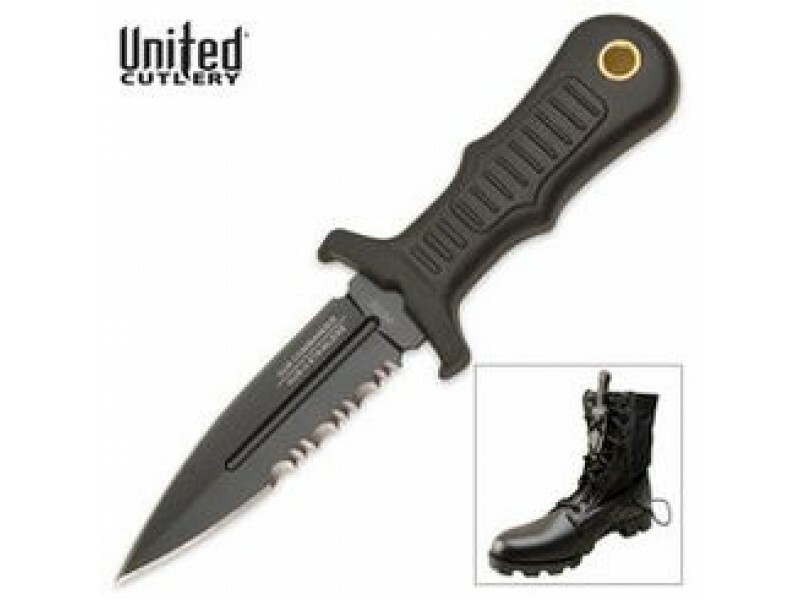 The ultimate in concealed, compact self-defense; these Sub Commander mini boot knives hide discreetly within reach at all times. An injection-molded sheath with nylon lanyard ensures they are close at hand in case of attack. An impact resistant TPR handle is strong and textured for a slip-proof grip, complete with a brass lanyard hole. Razor-sharp AUS-6 stainless steel blades are double edged with a complete blood-groove for an extreme cut when stabbed or slashed. The extended TPR guard ensures no accidental injuries to your hands while in use. 5" overall, 2 1/2" blade.